In many economic, social and political situations individuals carry out activities in groups (coalitions) rather than alone and on their own. Examples range from households and sport clubs to research networks, political parties and trade unions. 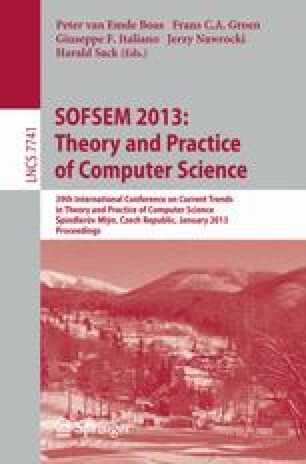 The underlying game theoretic framework is known as coalition formation. This survey discusses the notion of core stability in hedonic coalition formation (where each player’s happiness only depends on the other members of his coalition but not on how the remaining players outside his coalition are grouped). We present the central concepts and algorithmic approaches in the area, provide many examples, and pose a number of open problems.